Religion is a funny one. People are always arguing about it, and they probably always will. I consider myself to be fairly religious, but we all view other people using our own judgements, when are just being hypocritical. For example, I’m Jewish, and do not eat pork, so I judge the Jews that do. Yet, I do eat cheese burgers when I shouldn’t. As a Jewish person, you’re most likely in shul on Yom Kippur, which is considered to the be the day that you pray. The holiest of days. You are to fast for about 25 hours, with no food or drink, and spend most of it in shul, atoning for your sins – It’s in these 8 days between Rosh Hashana and Yom Kippur where G-d decides who lives, and who dies. I always end up thinking a lot during this day. I reflect upon a lot. It’s a good time for thinking too, but the only problem is, I can’t pull out my phone, or a piece of paper, and start making notes like I’d normally like to do. But this is also positive, it’s a time to let everything go and concentrate on the religious aspects that we so often forget about. I love religion and faith, and I repeatedly tell myself to try be more religious, to go to shul more, to keep learning, but life doesn’t get simpler, and I’m always getting busier and busier. But again today, as I’ve done every year, I try tell myself to go more, to be more active – After all, it is my heritage. The Rabbi gave a little talk before he started the service yesterday evening about letting fear go before it takes over. It always seems so easy when it comes from the über faithful. I hope to just try a little bit more this year. Religion affects people differently, and some people just don’t get it. Also, I will not try push my religion onto you, so I would appreciate it if you did the same for me. There is no right or wrong answer. I have my belief that my religion is what it is, and I am happy with that. There is no point arguing about it. My point is to have faith, to keep it close. It’s not whether it’s really there or not, we have no way to prove it, but it’s the belief that something is, and it’s that belief that sometimes helps us with issues that we come across. This year was the first year I wasn’t in shul for two days on Rosh Hashana. The fact that I was best-man at a wedding was kind of a big thing for me. So all I got was first day morning service, and it was a bit disappointing. But listening to the Shofar blowing at the end of this years Yom Kippur was pretty amazing. It’s kind of hard to explain, but the way you feel at that point is weightless, with no worries. The fact that I hadn’t eaten or drank anything for 25 hours meant nothing. The Rabbi’s talk at the beginning of Yom Kippur must have hit a spot. All worries and fear dissipated. It’s a feeling you can only get here. Shana Tova, I hope the fast was good, and I expect that the following year brings only hope and happiness. It’s always great to see people having “faith”, ’cause it’s something that I just can’t grasp. I just can’t suspend that belief. Kudos man. The only parting thought I have on religion is, have an open mind at all times. Don’t accept authority blindly. I feel like I have lost my faith so it is nice to see it in others. I greatly admire people who do not back off from their beliefs for the sake of popularity. Raising the subject is always a great risk, and people always seem to want to debate it, rather than just learn from it. Also great respect for giving up comforts. I think fasting is a very challenging task – whether you do it for a day or a month – it is something you won’t succeed in if your heart isn’t in it; if you don’t believe in the purpose thereof. It doesn’t matter what you believe in (and people may differ with me on that) but I think in these times it is important to believe in *something*. Shana tova to you too, big boy. great post, thank you for opening up on what is such a personal topic and giving us a glimpse into why and how you believe what you believe. i think it takes bravery to be this open – esp these days when so many people dis those who have a traditional faith. @NielDLR – I’ve grown up in a multi-cultured arena, with all sorts of nationalities and religions, and so I know a fair amount about a lot of them, and I will always respect people for their faith that they follow. 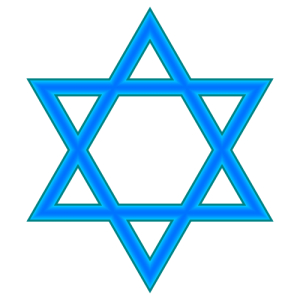 I’ve grown up with Judaism, but I know enough about others to be able to judge it from another point of view and I am very happy with what I have. Give of a comment? Huh? Restart, does not compute, non compas mendos. There is such a peaceful feeling to what you wrote. I know it’s way late but shana tova, I hope the year will be full of joy and good things and all of that.